I came across Steve I think when I read a comment he left on another blog. When I visited his site Without Envy I was drawn to his strong writing and felt a connection with him and his wife Franca because we seem to have similar ideals when it comes to food. When Franca e-mailed me with a question, and I knew I had found a fellow cook! I’m going to try out her pizza recipe soon! I invite you to read about Steve and Franca and their daughter Lia and then visit their blog Without Envy. You can also follow Steve on Twitter; he’s @WithoutEnvy. I’d like to introduce you to Franca and Steve of Without Envy. Tell me something about your child. Lia is an endearing, energetic, kindhearted eight-year-old girl who loves to be outdoors, play the piano and make others laugh. She has a contagious smile and enjoys telling and hearing funny stories about herself and her family. She also loves singing, especially the Phantom of The Opera. She would like to be many things when she grows up but at the top of her list is a scientist, horse trainer and maybe a parent (she is still on the fence about that one). How old was your child when diagnosed? Lia was diagnosed this past December at the age of 8. How was your child diagnosed? Lia had been showing signs of a cold for about a week before her diagnosis. At that time, she was showing many of the usual signs: lethargy, frequent urination, thirst. 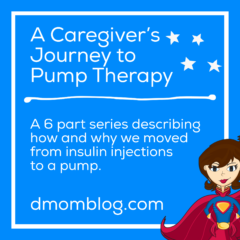 It wasn’t until she vomited that we took her to the doctor, who told us about DKA and diabetes. It was December 23. Lia spent the next two nights in the hospital as they slowly brought her blood sugars down. We came home on Christmas Day in the afternoon. Her diagnosis caught everyone by surprise, except of course for Santa. That fat, jolly old elf knew just where to find her! How has your child’s life changed since diagnosis? 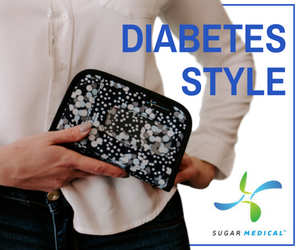 Lia has taken charge of her diabetes and though it is still very new and has been hard on everyone, she insists on checking her own blood, and even giving herself the injections at every meal. She has always been a very smart, willful and spirited young girl, and having diabetes has not changed her at all in that capacity. But not a day goes by where don’t we all wish she could just be a kid and didn’t need so much courage and bravery in dealing with this disease. Mostly though, we try and do the same things we used to do before: eat, play, sleep, all in moderation. How has your family’s life changed since diagnosis? This is difficult to say. Diabetes is still new to all of us and the emotions and fears and anguish we suffered from just learning of her diagnosis are still fresh in our minds and in our hearts. Lia’s care has been the most important thing and we’ve worked very hard to adjust to her treatment. The big lifestyle changes–sports, sleepovers, to pump or not to pump–are still off in the future a bit. One thing is for sure though: it has made us appreciate every single day, not just those where nothing in life goes wrong. With just two months under our belts, Lia is still using the insulin pen (Humalog and Lantus) and is checking her blood at every meal, once more in the morning and once in the afternoon. Either Mom or Dad (usually Mom) checks her blood at night. Sometimes we both do, depending on the readings at bedtime and one a.m.
We are an active family and use exercise as much as we can to help control her blood sugars. This fall, Lia hopes to run a 5k on Thanksgiving Day. It’s our goal to get her to the finish line, and get her there safely! What would you tell parents of a newly diagnosed child? Find someone and share. 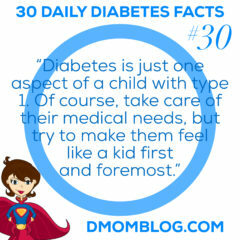 Whether it’s each other, another parent, an adult with type 1. Find someone. Ask questions. Stay calm. Listen and learn and adjust. Be strong for your family. Read. Write. Take action. Get involved. 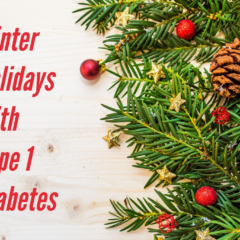 Make a plan for how you’re going to deal with diabetes and then live the plan. Forget the old reality. This is the new reality. Don’t fight it. 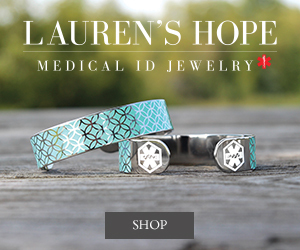 What do you know now that you wish you had known at diagnosis? That free foods are really free. If there aren’t any carbs, she can eat them if she’s hungry. We’re still somewhat skeptical and not completely sold on this, but if it’s true, it would have saved us all some grief, especially little Lia. The hardest thing for Lia so far has been finding someone to connect with. Other than if that child lived right down the street, which would be awesome if kids could connect that way, but not likely. So if there were some way to generate pen pals–even the old fashion way, through handwritten letters, that would be nice. Maybe a disposable camera to take pictures. Email would be the easiest though. 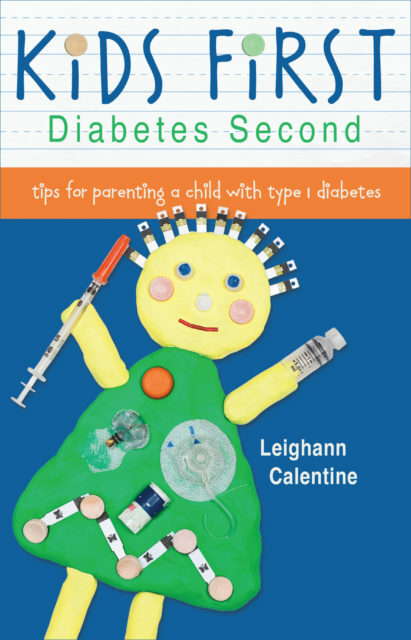 But Lia has really been disappointed (until very recently) by the response to her requests through various forums for other children with diabetes to write her back. Food is the hardest. Even food that you think is good for you–don’t get me started on HFCS, you know where we stand–interacts differently with other foods: simple starches and protein, complex carbs and fat, etc. Not everyone shops the inner aisles of their grocery store for food to eat, but so much of what you see out there is written for the masses, not the minority. We’ve both been very disappointed by the amount of information on eating good (meaning real food, that is sustainable and has a low impact on resources). 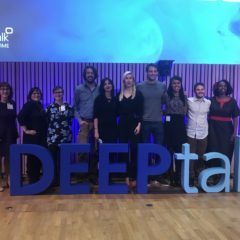 How has connecting online helped you cope with diabetes? What online resources do you use? The online community has helped us tremendously. In the early days of her diagnosis, it was our primary means of support. We are finally meeting others in the local area to share ideas and stories and introduce our children to one another, but the things we’ve read, and what we’ve written, and the comments we’ve gotten in return have offered us so much more than information. The hope, inspiration and openness has been simply overwhelming and for that we are grateful. We cannot imagine what life would have been like had we had to face these last two months alone. As someone close to the disease said to one of us just the other day, I’ve never met a diabetic I didn’t like. Amen, brother. Amen. Thank you everyone for opening your “doors” to us. We are very appreciative for your thoughts, your companionship and your stories. Are you involved with an outreach programs or fundraising? We are involved in our local chapter of the JDRF. Three weeks after diagnosis we attended a statewide family retreat, which was good for us to meet other parents of children with diabetes. We also started the blog Without Envy after a suggestion by the volunteer coordinator that they wanted one linked to their webpage, which it is now. Franca attended a Promise to Remember Me meeting with our U.S. Congressman. Coming up this spring are some opportunities for us to support the outreach program, volunteer recruitment, easter egg hunt and gala. Finally, we’re working hard to help JDRF develop stronger and better organized local connections.